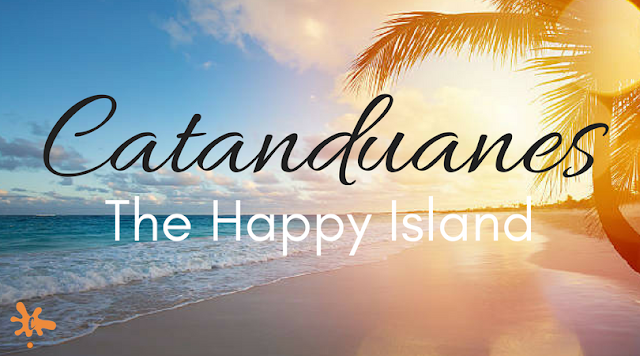 Catanduanes is the happy island in Luzon. It is my hometown but even though I grow up in there, I still have a lot of unfamiliar places to go with. So I decided to scrap down some of those places. Anyway, this story is way back July 2017 but I haven't posted it yet because of some personal reasons?. lol. So back to the story. 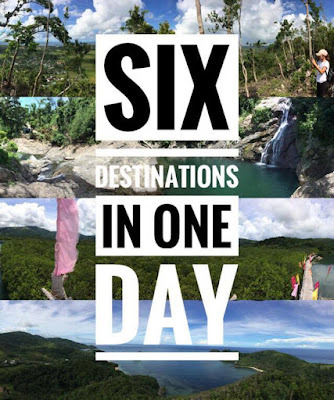 When I had a chance to visit Catanduanes, I tried to go to those places that I never been before, and together with my old mate - May Jade, we did the Six Destination in one Day Tour. 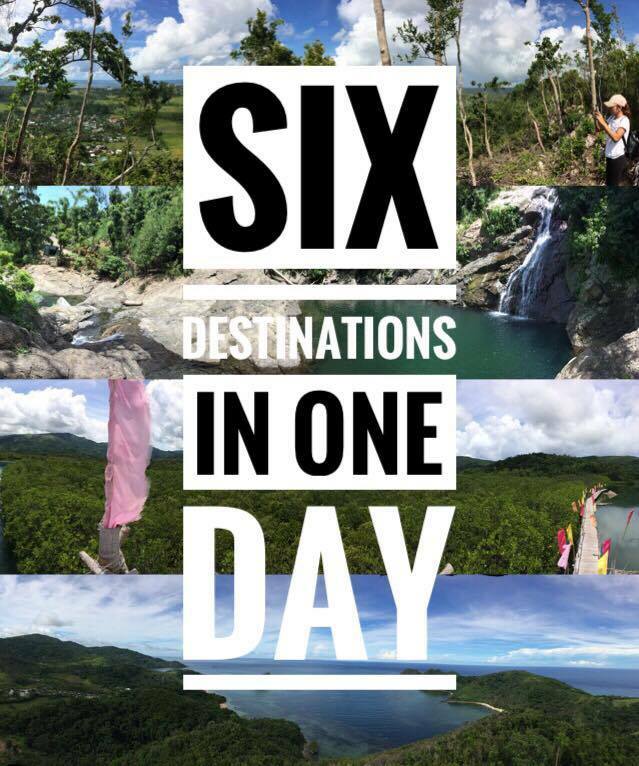 Some of these places were already featured on tv like Jessica Soho and Bayahe ni Drew. 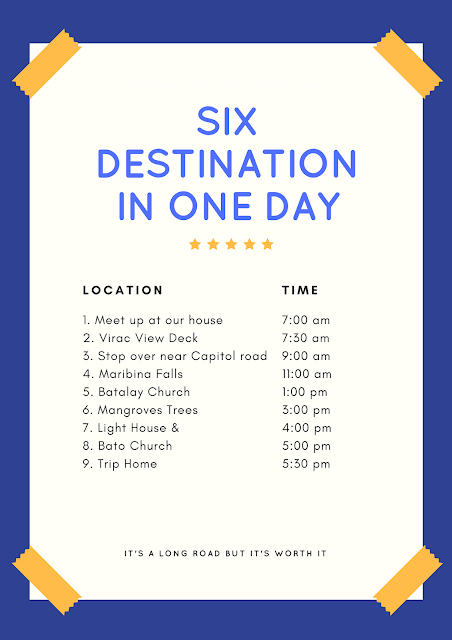 This is our time frame as we visited the six destination. We started around 7:00AM and ended it around 5:30PM. By the way, as we go along to each destination, I'll give some few guide that you can use if you decided to visit it as well. 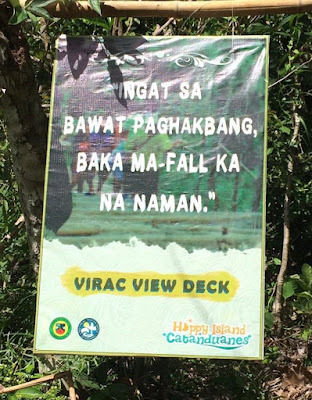 Virac View Deck is located in Danicop, Virac, Catanduanes. It is a 10 to 15 minutes or less ride from the Catanduanes State University. We did a special ride which cost 20.00 pesos. We talked to the caretaker and we registered our name first and pay an entrance fee. It is a 30 minutes trekking using the improvised stair made by the caretaker. Some part of the stairs and path where damage because of the typhoon that recently visited our place during that time. They haven't fixed everything yet. But still the view is majestic. They also have souvenir handicrafts that you can find there. 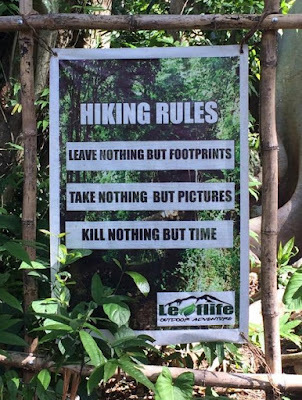 My most favorite part during the trek is the hugot lines that were intentionally posted for the trekkers to somehow cheer you on. 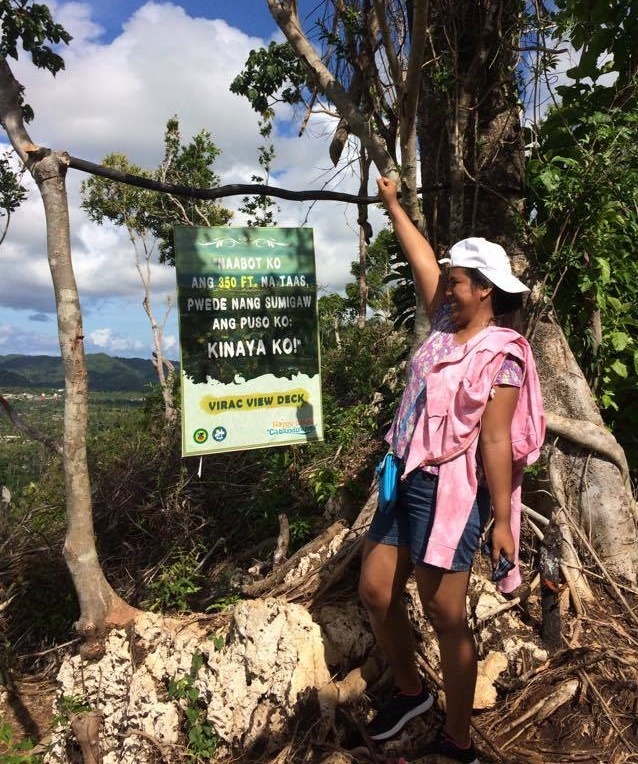 Then when you finally reach the top, you will finally see the beauty of Virac. 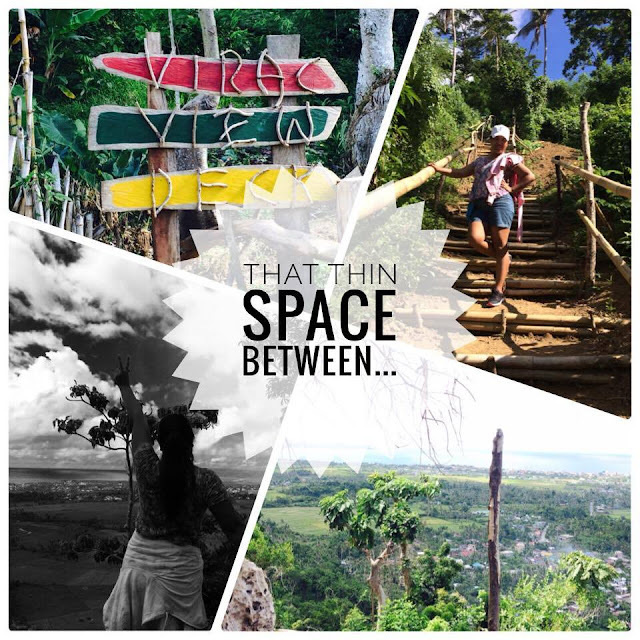 Virac View Deck gives a slight sneak peek of the City of Virac and its breathtaking view that are very instagrammable. Before we went to our next destination, we had our first stop over near the Capitol to take our snacks and buy some travel snacks. From the Virac View Deck, we take a tricycle ride to Capitol. It is a 10 minutes ride for only 20.00. After we had our snacks, We ride another tricycle to Maribina Falls. We paid another 20 pesos for the 10 - 20 minutes ride plus a 5 minutes walk to the entrance of the Resort. If your not into salty water you can always try the falls. The water is really refreshing to play with. 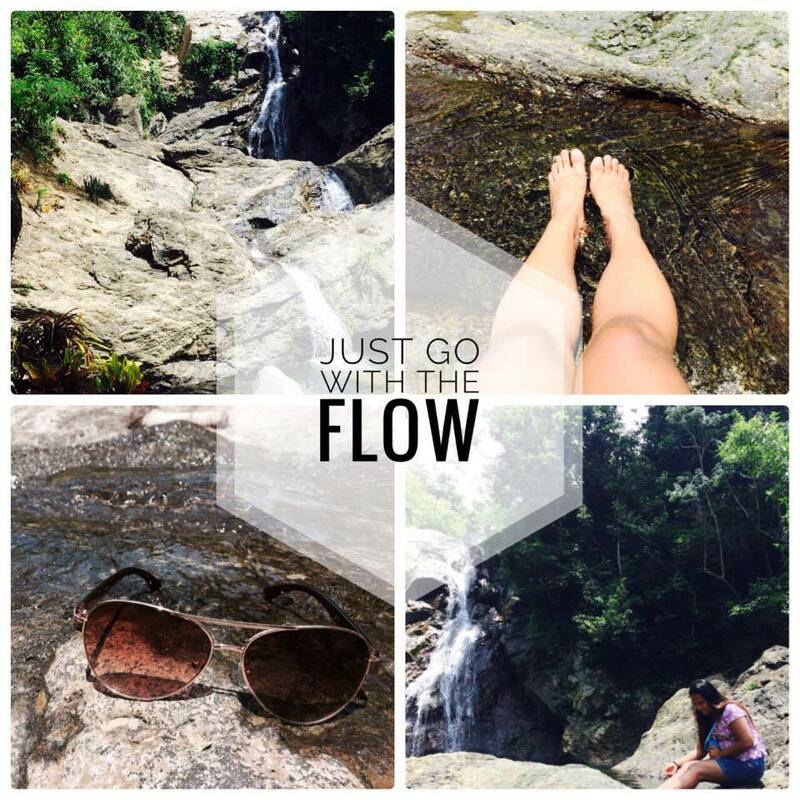 I soak my feet for a will and enjoy the view. We don't have extra clothes and I'm not a good swimmer so we stick in taking photos. By the way, it has a 20.00 pesos entrance fee for Adults and 15 pesos for Children. 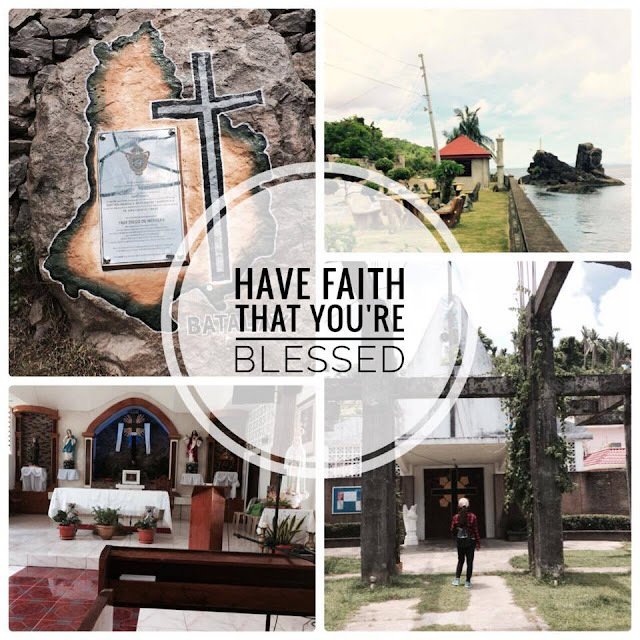 Batalay in Bato, Catanduanes is popular for the Holy Cross and Holy Water. 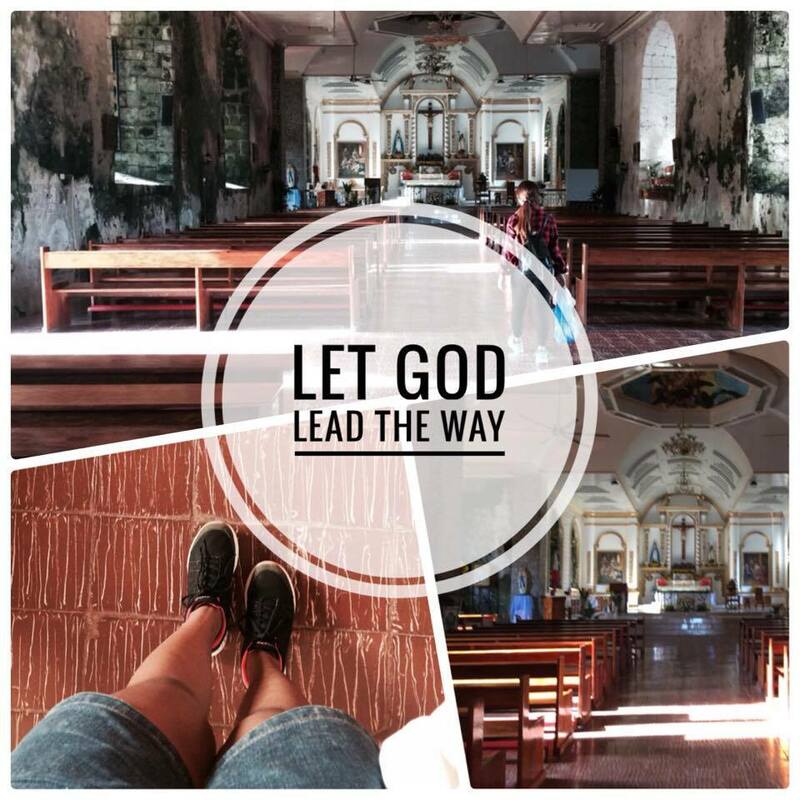 it was a short visit at the church since it is also under renovation that time. Many Catandunganon visited the church during Visita Iglesia or during Holy Week. After we visited the Church we walk towards the Mangrove Eco Park. We had a hard time finding a boat to rent that time because we didn't know where we can find one. It was around 1:00 PM and we luckily meet two young boys that walking back home from school, that guided us to their brother who had the boat. We pay 100 pesos for them as a treat for the ride. Some part of the Eco Park were damage after the typhoon. The Man-Made Bamboo Bridge and Hut collapsed. The Mangrove Trees lost its few branch and leaves. 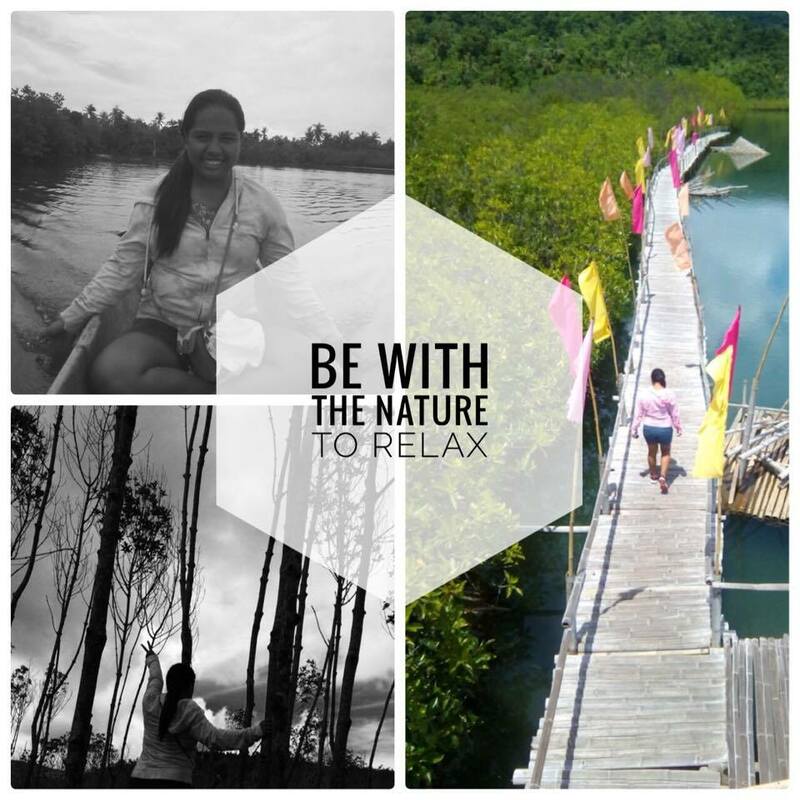 The boat ride can make you go round the whole Eco Park and help you to have a closer look of the whole Mangrove Trees that they planted. So from Batalay, we went to Barangay Bote. We did the "Habal-Habal" ride or a Motorcycle Ride because we can't find a tricycle that go in Bote. We paid 100 pesos for the back and fort ride. Barangay Boto have it all. From a beautiful beach-feel scenery and a breaktaking view from the top of the Light House. 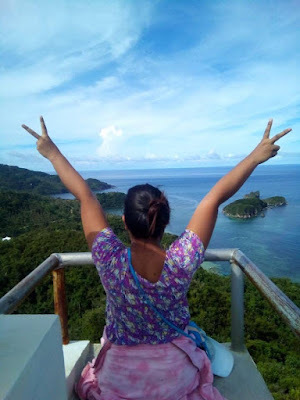 Sakahon Beach will give you a great view for the 2 famous Animal Islet in Bote Bato. The Turtle Islet and the Crocodile Islet. Aside from the beach, you can also visit the Bote Light House which is a 30 to 45 minutes trekking. You're hardship and tiredness during the trek will surely pay off when you are at the top already. 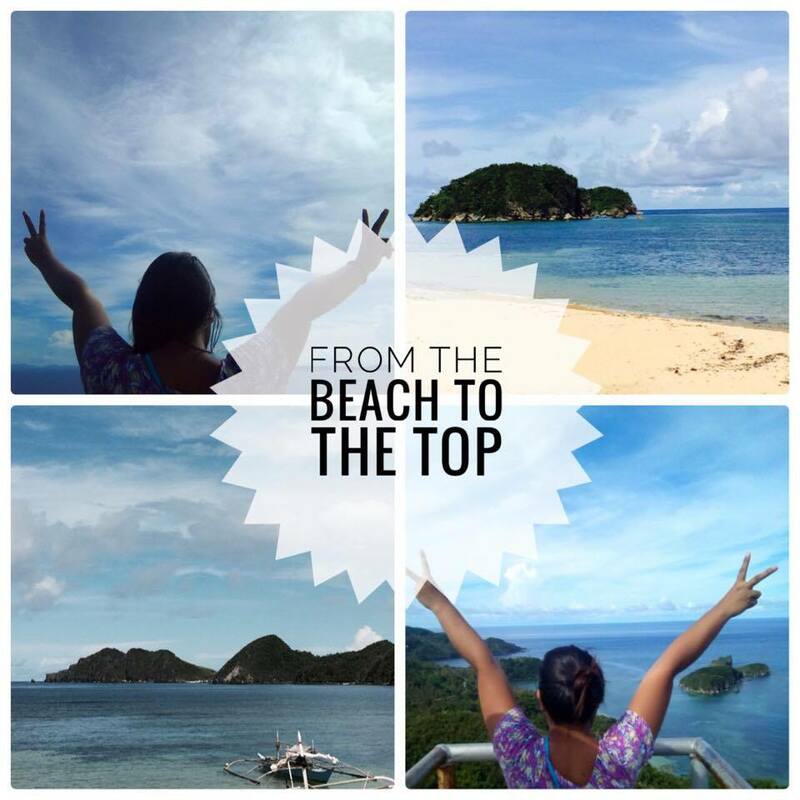 At the top, you can see the beauty of the beach, the green land and the turtle and crocodile islet. We rest their and enjoy the view for the moment. After the Bote Light House, make another church stopover - the Bato Church. This is one of the oldest stone church that are maintain in Catanduanes. We take the Habal Habal as we went here and take the Tricycle as we went home. Indeed, it was a very long day and was burned. lol. I turned 3 shade darker than my usual skin color, but who cares, It was fun! Always keep enough money and fare if you're planning a road trip. Prepare enough food and water to avoid hydration and fatigue. Don't be afraid to ask for directions, Happy Island also have Happy People. Make a plan first like making a map of your destination. Ang ganda talaga ng Virac Catanduanes the last time na pumunta ako sa Lugar na iyan ay noong 6 years old pa Lang ako. Sana magkaroon ulit me ng chance na makapunta dyan super na-amaze me sa mga picture. Indeed a very amazing place to visit!